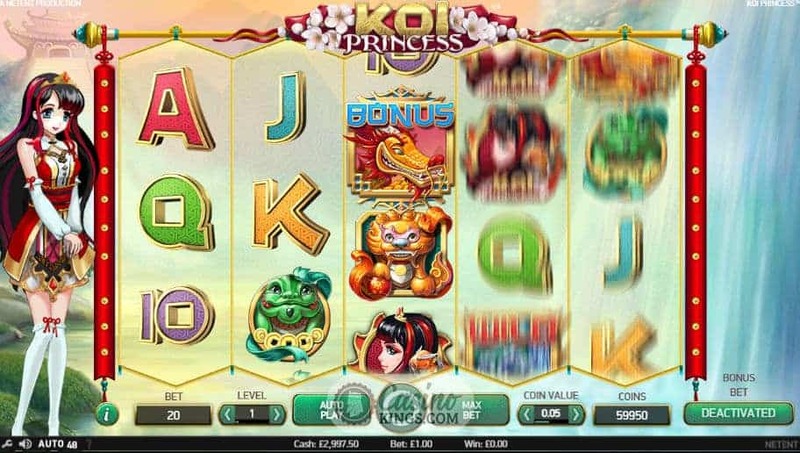 Ladies & Gents I introduce the Koi Princess slot game, incidentally a Koi is a famous Japanese fish, so is a Koi Princess is a fishy princess, or a princess that smells of fish? We’d better be damn careful what kind of aspersions we are casting about these princesses. Fortunately, we know NetEnt well, and they would only mean it in a playful, friendly sense. Besides, the number of bonus features this princess has got stashed in her stockings make it well worth our while getting into them. Fans of Japanese anime will instantly recognise the cute, big-eyed princess and her Zelda-esque outfit. She is super cute, but this is Japanese anime so she may well have a dark and dangerous side. 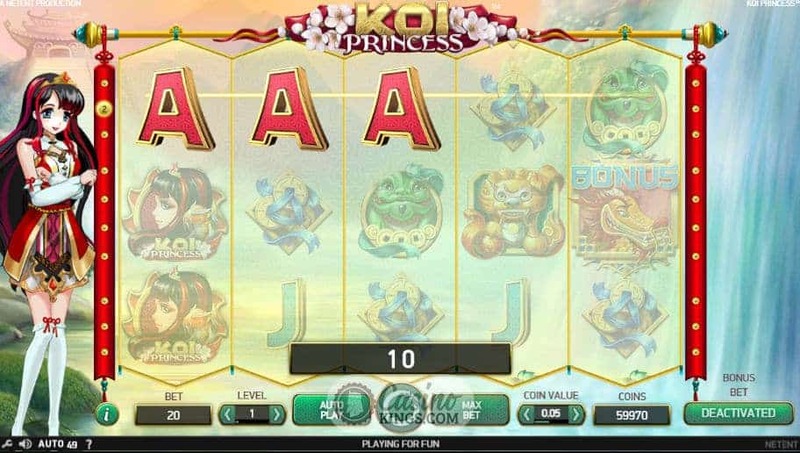 Fortunately for us, she stays on the cute end of the spectrum in the Koi Princess slot game, and returns as a symbol on our five reels along with other quintessentially Japanese symbols, as well as some more recognisable 10s through Aces as we hunt for her 20 paylines. The backdrop to the reel case sets the scene magnificently, while the sound score helps to transport us to the banks of a waterfall beneath an ancient Japanese temple. Apart from seeing this super cute Koi Princess jumping for joy and clapping her hands when we score across her reels, so to speak, she also grants us a staggering amount of bonuses. 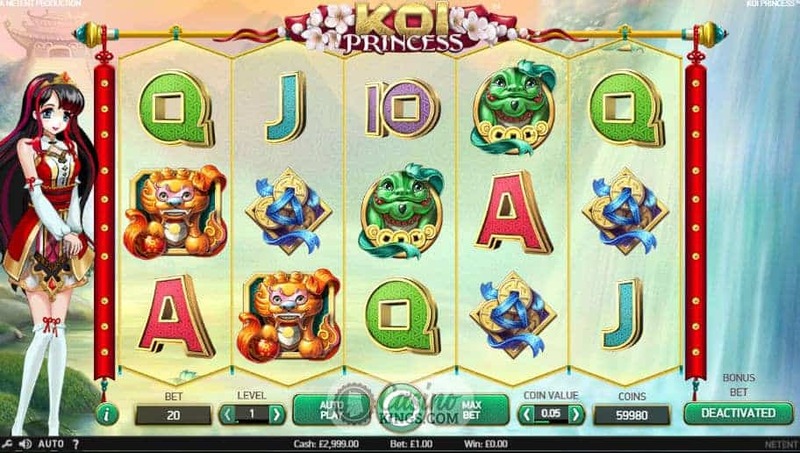 Koi Princess features three random bonuses plus four bonus features which can also be randomly triggered, making our princess a very generous royal indeed. 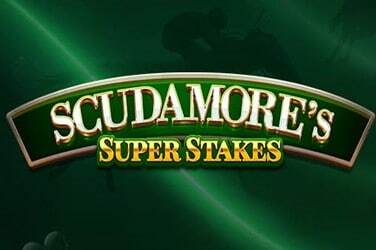 The first point to note regarding the bonuses on offer is that we increase our chances of landing them when we activate the Bonus Bet feature by the side of the reels. This doubles our bet but increases the activation variance of random and bonus features. 5-Hit Random Feature – one free spin with a guaranteed win of five symbols. 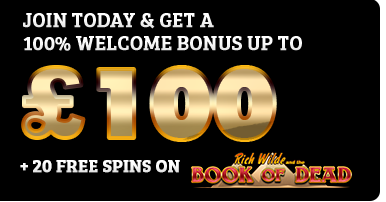 Random Wild Feature – one free spin with 4 – 9 extra wilds scattered across the reels. Wild Reels Feature – one free spin with between 2 – 5 stacked wild reels. 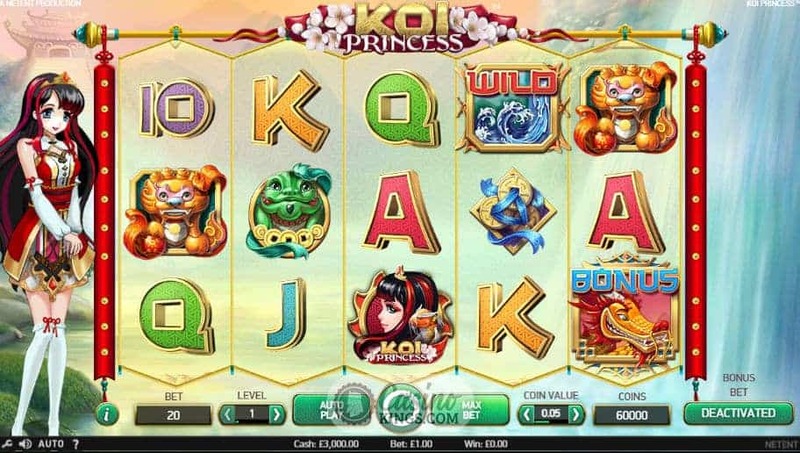 However, one of the Koi may grant one of the game’s full Bonus Features, which are normally triggered when we land three of the Scattered Bonus Symbols land on reels 1, 3 and 5 and chosen at the spin of a wheel. 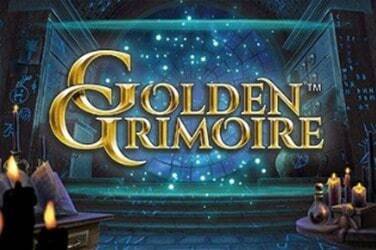 Sure Win Free Spins – 10 free spins with guaranteed wins on each. 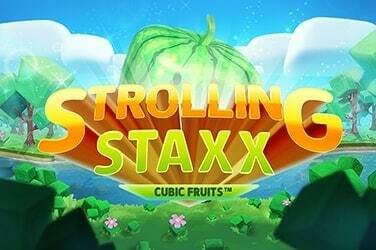 Wild Reels Free Spins – 10 free spins with 1 – 5 reels stacked wild on each spin. 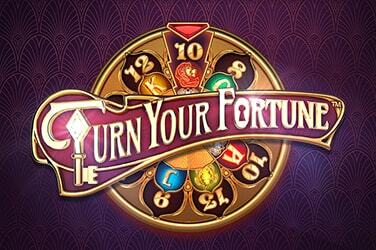 Bonus Wheel – A Wheel Of Fortune on which we can win coins and activate the two free spin modes. Coin Win – A straight up coin win. With so many bonus features it feels like they could have their own summary, but having such a great depth of features keeps the gameplay as fresh and creative as a Manga film. The Koi Princess slot is super cute, and I dare even the most hardened of gamers not to be whisked off in an imaginative whirl in the vein of Studio Ghibli.